Instagram filed a UDRP at the World Intellectual Property Organization to get the Instagram.tv domain name. This isn’t all that surprising to me, but it is surprising that it took the company so long to go after the domain name. Instagram has filed quite a few UDRPs to take possession of typos and Instagram-related domain names. Instagram.tv was created in January of 2011. The domain name appears to be registered to someone in China. 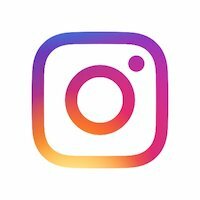 Instagram originally launched in October of 2010, approximately three months before the Instagram.tv domain name was created. It appears that the same registrant who owns Instagram.tv also owns Instagram.net, which was registered in November of 2010 (one month after Instagram launched). The registrant email addresses are a bit different, but it looks like it is the same registrant. Strangely, Instagram won the Instagram.net domain name in a previous UDRP filing in 2014, which included quite a few other domain names. I am not sure why the Whois record doesn’t reflect a change of ownership. I am also not sure why Instagram didn’t include that domain name in its 2014 UDRP. It also looks like Instagram faced off with the same registrant in a 2016 UDRP filing for Instagram.ch, which the company won. I would guess that Instagram has a very good chance of winning this UDRP. It will be interesting to see if Instagram is going after the Instagram.tv domain name with a plan to use it or if the company is simply getting around to protecting its mark in this extension.